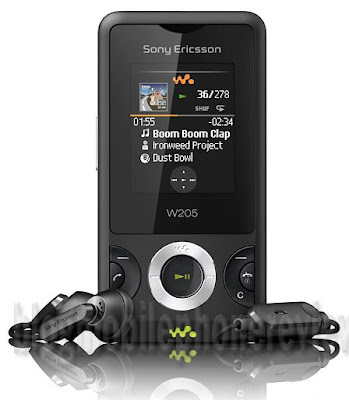 Sony Ericsson W205 Walkman generation entry in the beginners. With the design of the slide, the phone offers features classic, yet still present the latest innovations. Only a Walkman player, FM radio and TrackID music recognition. 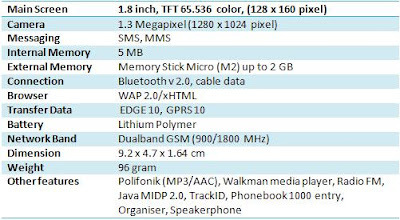 In addition to the entertainment facilities, W205 also take 1.3 megapixel camera. Unfortunately, that was a standard feature. There is no flash and autofocus. more cool, the camera can capture directly sent via MMS or facilities sharing via Bluetooth connection. To store the music files and photos, W205 up 5 MB of memory. Meanwhile, also provided for the expansion card slot memory stick micro (M2) with a maximum capacity of up to 2 GB.